In 2013, an H&M factory in Bangladesh burned down, killing 1,138 workers due to the corporation’s failure to fireproof the building. The fast fashion industry is expanding and is now valued at three billion dollars; clearly there is high demand for on-trend clothing that is accessible clothing. Some of the major retailers have even made strides to create more “Conscious” and “eco-friendly” sub-labels. These,however, are not deserving of the name and should be relabelled “slightly more eco-friendly” than their main collections. The truth is that in order to make the conditions humane, wages reasonable, and cut down environmental destruction, these brands will have to increase their running costs. Luckily, many up and coming designers are moving in the opposite direction with vintage-inspired and environmentally-friendly clothing. 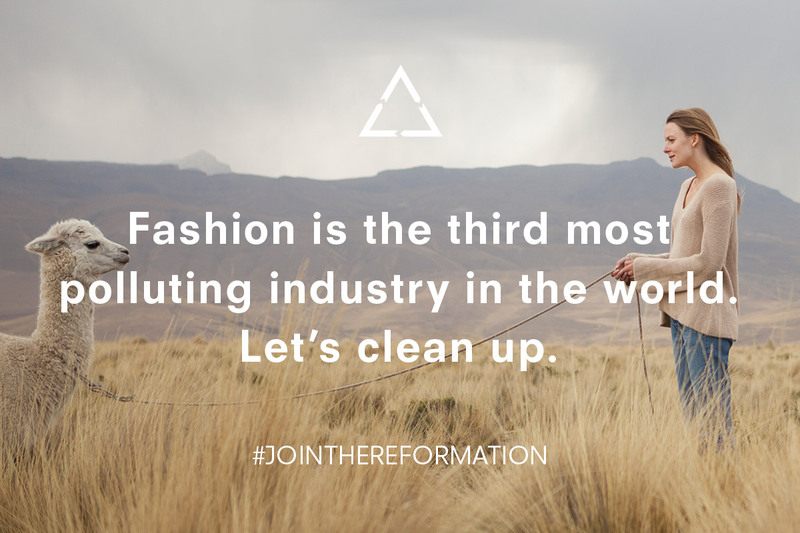 New clothing companies such as Reformation, Girlfriend Collective, and Re/Done are paving the way by making eco-friendly fashion look good. However, these come with a considerably higher price tag, proving the difficulty to maintain a green business with low prices. With trends from the 80’s, 90’s and 00’s all back in fashion and on runways everywhere, many of these new business models are focused on recutting and revamping vintage clothes. At the end of the day, the fashion industry is largely in control of both what goes in and what stays in style. With the new vintage movement taking hold, the future for “upcycling” clothes is optimistic. Designers have to come to realize that there shouldn’t be a compromise between feeling in style and helping the environment.